to be notified of upcoming classes! ​Below is information about Rachel's private studio. ​- If you are interested in Music Together Classes that Rachel teaches - see this page! 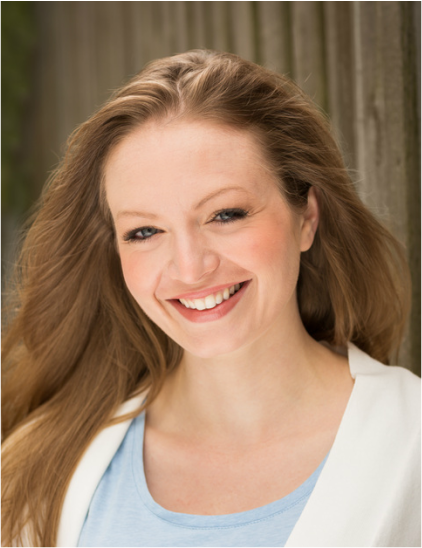 Rachel Sparrow is a professional singing actress, teaching classical, jazz, pop, & musical theater belting techniques of singing. 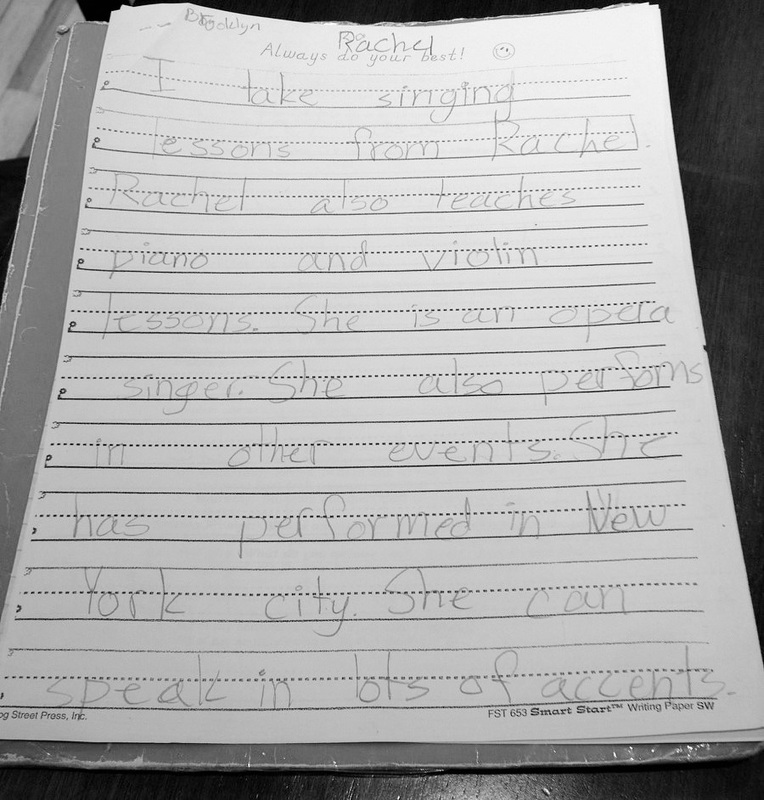 Rachel also teaches piano and violin. Please see below for short descriptions of her teaching philosophies & also some reviews from students. Or read more about Rachel here. Rachel Sparrow teaches children and adults, beginner to extremely advanced levels for voice lessons, beginner to intermediate piano lessons, and beginner to advanced violin lessons. The students she teaches voice, violin, and piano lessons to mostly live within the North Shore of Chicago; including Highland Park, Glencoe, Deerfield, Northbrook, Northfield, Highwood, Wilmette, Evanston, Skokie, Winnetka, and Kenilworth. Don't hesitate to contact Rachel with any questions. "One question I often hear when people are looking for a teacher is: "Do you only teach opera/classical singing?" The answer is absolutely not; however, I often begin a student with the classical technique because it incorporates the most efficient way to produce sound. After you have learned the proper technique behind producing the best sound, you can choose the style of singing you would like to work on in your lesson. We sing classical, musical theater, belting (the healthy way! ), jazz, & pop vocal styles! We begin each lesson with warm-up technical exercises or ear training if necessary, and then the remaining time is spent on the song literature. Dependent upon your level of singing, you may need to hire an accompanist for your lesson; however, for most students, I will accompany them during their lesson, and a separate accompanist is not necessary until recital time. There are recital opportunities twice a year for my studio. "Even though in my musical life now I am a singer, the piano was my first musical instrument and I definitely feel that it is the BEST instrument to start your musical life on! I started playing at 5 years old. I took private lessons on piano until I was 17, and played competitively in high school and in state music contests. I am forever grateful to my knowledge of the piano, and it helped me learn the violin, and has definitely supported me as a singer. Music Theory is SO much easier to learn once you have a comprehensive knowledge of the keyboard. I teach all ages, adults and children! My approach to teaching piano is different and unique from most teaching methods. I have seen the most success, and especially with children and very young students - teaching them with games. I feel that I have failed for the day if a lesson goes by without laughter from the student! We play games in order to learn songs, roll dice in order to drill difficult spots in a song... play "good" versus "evil" for wrong notes and right notes with makeshift game board (think Candyland). Sharps and flats and all notes on the keyboard are taught from the get-go, so that there is no "mystery" when we introduce them in songs later. I believe that children can handle anything you throw at them, and that it is when you begin to shelter them from the "hard" stuff, that the "hard" stuff becomes "hard". So, I have what you might call a non-hesitant approach. I don't shield a child from a difficult concept until they are 'ready...' I often just test them and push the envelope right away! I also know that not one student learns the same way another student learns. So I adapt to each student's needs as soon as I find what works the best for them. Theory is taught and scales and "music" lessons along with piano lessons. Singing and clapping rhythms is just as important as playing them correctly and each ties into the other, making the concepts stronger in the mind. We MOVE during piano lessons, we aren't just "sitting" at the piano the whole time. A good example of this would be the way I like to teach steps and skips among notes to my students. Often we "play the piano" as we jump up and down on a stair case. We have fun learning piano! And ADULTS can have fun too; we might not be jumping up and down on stair cases, but I allow you to choose the kind of music that is the most fun for you to learn on! I hold a recital twice a year for my studio." "For this instrument, I have taught students of all ages, from 3 years old, to 72 years old. The violin is a wonderful instrument to learn at any age! Violin was my secondary instrument in my Bachelor's Music Education Degree. I am certified to teach k-12 vocal or instrumental music. I have worked as an After-School Strings Instructor, and I was the orchestra director at the Pocatello Community Charter School in Idaho where I taught and lived for 6 years. I have played the violin for 19 years. I played competitively in high school, and then was awarded scholarships during my undergraduate career and played violin in the professional symphonies in south-eastern Idaho for the 6 years I lived there. Obviously, my main instrument is now Voice, as I sing professionally. Violin is now a very dear hobby and I still love to teach it. Playing the violin is fun! But it is a LOT of work. My students have more fun when they are willing to put in the necessary work to achieve their goals. This means you must practice. The violin is a very difficult but rewarding instrument. Private one-on-one instruction gives students the attention they need to begin playing the correct way from the start. Or, most often this instruction gives the student the attention they need to correct poor playing habits. I have found that much of my time teaching is spent correcting poor habits in order to allow the student to continue with uninhibited progress to new levels of playing. Rachel's Teaching Profile on "Thumbtack", a site that refers potential students to professionals within their communities. Q. What advice do you have for a customer looking to hire a professional like you? A. Do NOT just look for the cheapest or closest lessons. You get what you pay for, most of the time. On the other hand, beware of teachers who 'over charge' and aren't qualified. Someone without a music degree is someone to be wary of, in my opinion. Stick with people who have the degrees in teaching music, they are better certified & prepared to teach. And they are more likely to LOVE it. You can tell after one lesson if a teacher is a true teacher who truly cares about their students. A. I teach each student individually and cater my teaching methods to what works for THEM. Many teachers seem to teach each student the same way; use the same books, and same exercises for each student. I believe that is not only boring, but incorrect. Some students are more visual, some students need to move more, or create pieces on their own... etc. I love to experiment with students to find out the strongest way they learn and what their 'vocabulary' of learning is; and build from there- using THEIR vocabulary and tools of learning. A. I love seeing the spark in someone's eye when they learn a new concept and are able to repeat it, or "get" it. It is the biggest thrill of teaching, in my opinion. Watching the light bulb turn suddenly on in someone's brain is so fun! Q. Tell us about a recent event with students that you are particularly proud of. A. I was so proud of all of my students during their last recital. Each one of them performed their very best, and worked hard to get there. It paid off. Everyone was fabulous and their confidence grew and grew. Even if they made a mistake, they learned how to handle that in a performance situation and did so with style and finesse! Enlarge the pictures below to read the 'review' from 8 year old, Brooklyn, written in a school assignment. "Rachel is a thorough professional and a wonderful, delightful person. She and I are peers in the teaching profession, so I know what it takes to be the kind of mentor that her students will cherish forever." "Rachel has taught both my son and daughter piano lessons. My son also took some voice lessons from her. Her enthusiasm and professionalism are second to none. My kids look forward to lessons now and have improved immensely. I would recommend her without hesitation." 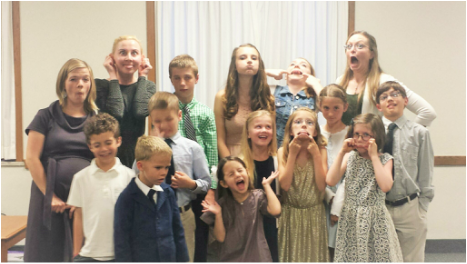 "Rachel taught piano to our 3 children 5,7 and 9 for a year and a half. Her ability to work with the different ages, skills and mostly personalities was a true talent. She made piano lessons fun for each kid while always leaving them better after each lesson. The kids really looked forward to her different uses of phone apps, computer programs, and even just the basement stairs to teach them a new concept. She let them choose music they liked and even make up their own music. I highly recommend Rachel." "What a great opportunity. I recently performed publicly for the first time after learning to sing from Rachel. She helped me find the confidence I needed for my solo (and for life). The process of taking lessons is really fun, really motivating, and you can trust Rachel from day one. Somehow she makes it comfortable to be out of your comfort zone. This girl knows what she's doing!" "Rachel is an exceptional teacher and a wonderful person. I feel very comfortable working with her. It's been 4 lessons so far and there's already so much I learned about my singing voice. I'm sure I'll uncover my full potential if I keep working with Rachel and keep practicing at home. Thanks so much, Thumbtack, for connecting us! :)"
"I play old-time fiddle (started at 48 with no formal training) and Rachel was a huge help to me when I wanted to explore classical technique. I studied with her for four very positive and productive months. She was quick to pick up on things that I needed to improve and then she worked tirelessly to help me find ways to fix those problems. She didn't hesitate to offer correction when I needed it (I loved that!) but she was also quick to point out improvement. It felt like I could trust her feedback and I felt like she genuinely wanted to help me make progress." 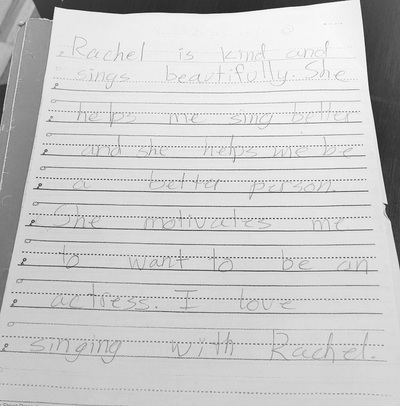 "I loved my time with Rachel as my voice teacher! She is hilarious and kind, but also can always find room for improvement. Her song choices were fun, but she also is open to students picking songs. She specifically helped me with my problem of tightening up on the high notes. She is very accountable - definitely the most reliable voice teacher I've had. I've been taking voice lessons since I was five years old and started taking from Rachel when I was 20 and going to Northwestern University. Graduate students there have the opportunity to teach non-voice major singing lessons. Some of the teachers are clearly not into it, but Rachel approached the job with enthusiasm and compassion for her students. She even helped me find local auditions that she thought would suit my voice and helped me schedule and primp for my head shots. To give you an idea of repertoire, we worked on a good mix of classical and Broadway (and a lot of Broadway classics!). She also arranged a performance opportunity for us - a recital at her local church. I should also note that Rachel's piano skills are certainly up to par. I don't think she has time to perform piano solos, but it was more than enough for our lessons. Of all my voice teachers, Rachel has been my favorite (and I have had five). I would highly recommend her to anyone. You would be lucky to study with her!" "Rachel is very thorough and always puts attention to detail and including theory and playing. Very patient and adjusts to the child's way of learning." "I have been singing in groups my whole life, but never felt like I was good enough to sing a solo. Taking lessons from Rachel has helped me to understand how to actually use my voice correctly. She is encouraging, positive, and so knowledgeable! After studying with her for just a couple months, I even sang my first solo! 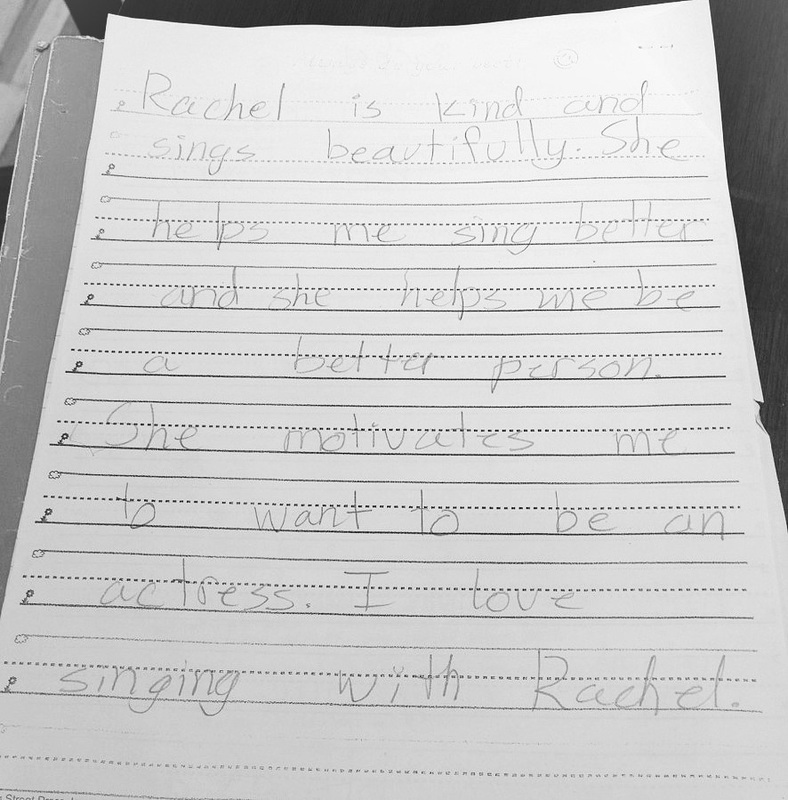 Rachel has a true gift for teaching." "Rachel is great. Very patient, friendly and knowledgeable. She worked both with me and my daughter and adjusted accordingly. Highly recommend taking voice lessons with her!!"